Which are the highest paying cities for dentists? I recently went to the dentist. Hello, dental insurance! It is basically the best thing in the world. Before this, I only went to the dentist when I absolutely had to, and it cost over $400 for one cavity as a self-pay patient, and the doctor was kind enough to give me a break. I have also given NYU dental school a try, they are a good low-cost option. Except for the fact that the NYU dental school dentists are students–with some supervision. I remember leaving their office and saying “okay, and how long will my tongue be numb?” And she goes, “Oh, your tongue is numb? That shouldn’t happen.” WHAT! That is not what I want to hear, woman who just shot me up with a huge needle and messed around in my mouth. She called in her supervisor. Okay great, now things will be under control–this guy knows what he’s dong. He goes, “oh weird.” OH WEIRD! And then he says, “I’ve never seen this before.” WHAT! This calming notion was followed up with, “oh I think I read about this once.” It turned out to be fine and the numbness wore off. It turns out lidocaine (they don’t use novocaine anymore) can hit nerves in your mouth–as it’s supposed to do in order to render you numb. Sometimes, though other nerves or other parts of nerves can get numb by accident. Not a big deal unless NO ONE in your dentist office who’s supposed to know something so trivial knows this fact. Still, dentists are great. I firmly believe in them. As Rob Lowe’s character on The West Wing once said “your teeth are the best friends you’ve got, C.J.” He was talking to C.J. at the time, obviously. For those who are still wondering what dentists exactly do, were you just born? Dentists diagnose and treat patients who have problems with teeth, gums and related parts of the mouth. Also, dentists provide information about how to take care of your teeth and on diet choices that affect oral health. Most of them working in their own practice, or in private clinics with a small staff. You may find interesting the fact to know that in the United States in 2014, dentists held 151,500 jobs, according to Bureau of Labor Statistics’ report. 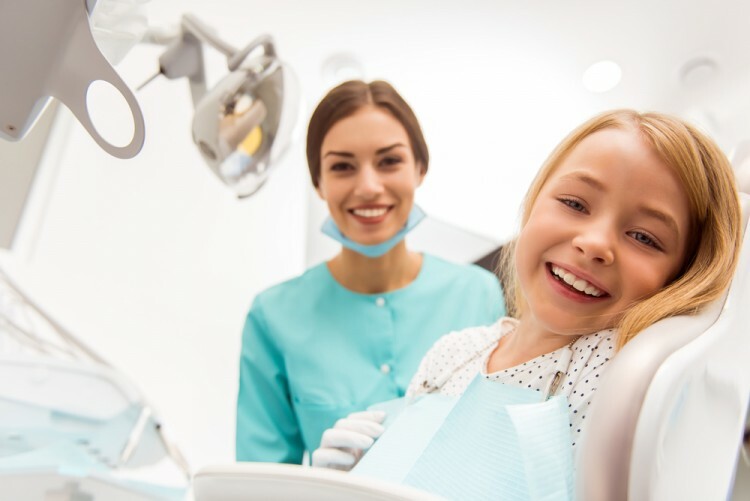 If you’ve ever wondered how to become a dentist, you can find out here, but before we answer you need to know that being a dentist is not an easy job–you have to understand how lidocaine can accidentally numb tongues–among other things. All dentists must have a license from the state they are working. Here you can see which are the 11 Highest Paying States for Dentists, the number of dentists per state and dentist salary per state. The licenses vary from one state to another, but in every state, in order to get a license you must have a degree from an accredited dental school and pass both practical and written exams. If you want a more fine-grained approach, as in the 11 highest paying cities for dentists, stay tuned. The average annual wage for dentists in May 2015 was $158,310. Employment of dentists is expected to increase by 18% from 2014 to 2024 in every area. Dentist pay per hour is approximate $76.11. Looking at teeth all day never sounded so good. So you went through all that schooling and training and now you need a place to call “home,” or you’re planning to do all of this in the near future? Well, then jump on our list of highest paying cities for dentists (we’ve used USA Wage as our main source).